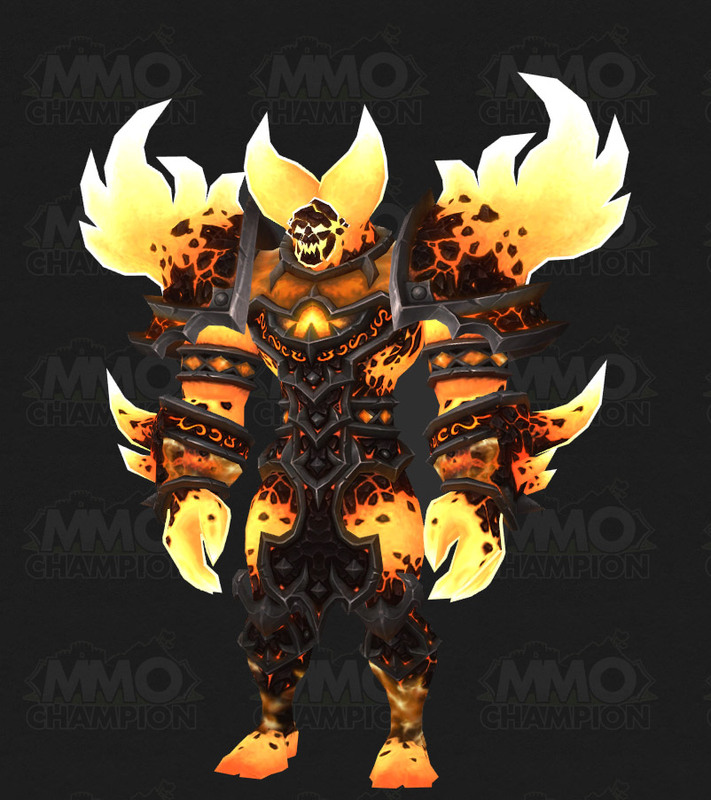 Ragnaros the Firelord is an incredibly powerful elemental lord, ruler of all fire elementals. He resides in the Molten Core deep within Blackrock Mountain. 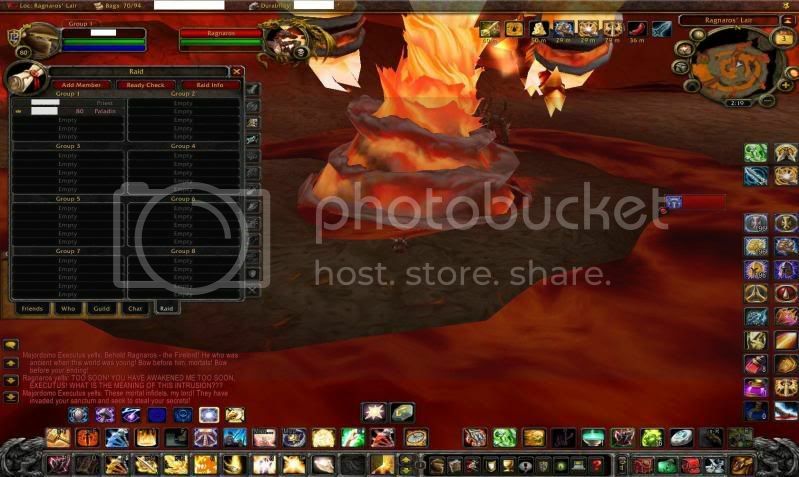 Ragnaros has low chance to drop Eye of Sulfuras, the key ingredient to making Sulfuras, Hand of Ragnaros. 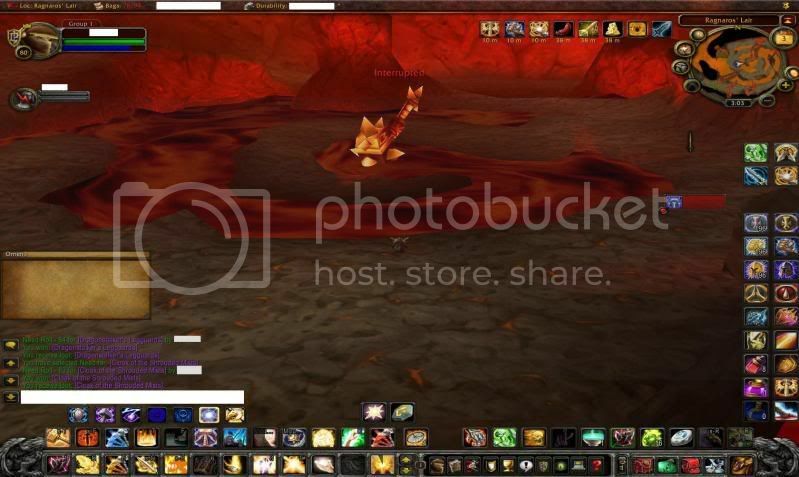 He reappears as the end boss in Cataclysm's Firelands instance. Ragnaros yells: FOOL! YOU ALLOWED THESE INSECTS TO RUN RAMPANT THROUGH THE HALLOWED CORE? AND NOW YOU LEAD THEM TO MY VERY LAIR? YOU HAVE FAILED ME, EXECUTUS! JUSTICE SHALL BE MET, INDEED! Ragnaros yells: NOW FOR YOU, INSECTS! BOLDLY, YOU SOUGHT THE POWER OF RAGNAROS. NOW YOU SHALL SEE IT FIRSTHAND! Ragnaros yells: TOO SOON! YOU HAVE AWAKENED ME TOO SOON, EXECUTUS! WHAT IS THE MEANING OF THIS INTRUSION?? ?